We now seem to be in a throwaway society. We use paper towels to clean up spills, paper napkins and paper tissues to wipe our noses. We then toss all of this stuff into a wastebasket after a single use. Some of us even buy new wardrobes every season ditching old clothes that are in perfectly great condition because they’re just so “last year”. All of this waste is very costly for both us and our environment. We could all save money and stretch our budgets much further by using the same items over and over rather than just once. And because we would be buying less we would reduce our use of natural resources and energy as well. There are a number of ways to make reusing, reducing and recycling a part of your life. The best way to begin this is by taking a few baby steps. Once these feel comfortable you could then start tackling the bigger stuff. If you’re like many people you probably grab a disposable bottle of water when you’re off on a walk or a bike ride. If you use and then dispose of just five of these water bottles a week, think for a minute the impact that has on our society. What you could do instead is buy a $17 reusable water bottle that will pay for itself more than 20 times over in just its first year of use. Plus, you could be keeping more than 1000 disposable plastic bottles out of the waste stream. According to the Natural Resources Defense Counsel the average US family takes home nearly 1500 plastic shopping bags year. Believe it or not, it takes more than 8000 barrels of oil to manufacture these bags and, sadly enough, only about 5% of them get recycled. You could save money and avoid this by using reusable grocery bags. There are dozens of different kinds available and even a few that can be folded up and tucked into a purse, pocket or backpack so that you’ll always have one with you. Do you use paper napkins at home? If yours is a family of four and you use one napkin at each meal you would be discarding 4300 napkins a year. You could buy a dozen cloth napkins for $10 and reuse them again and again for years. That could save you as much as $55 just in the first year and would save a few trees as well. What do you do when something breaks? You really have only two choices. You can fix it or run out and buy a replacement. But the greener and cheaper choice would be the first alternative. As an example of this, if you have an older car that seems to need constant repairs you might think it would be cheaper to buy a new one. However, according to Edmunds car loans have an average monthly payment of $483, which totals up to $5796 a year. So do the math. Unless you’re spending more than this to keep that older car running it would be cheaper to keep repairing it. On the other hand, if it’s become so unreliable you’re afraid to drive it for fear of being stranded somewhere then replacing it might be an okay option. A balky, unreliable computer can be every bit as annoying as an unreliable automobile. But you don’t necessarily have to replace it. You could fix a sluggish PC just by getting rid of unnecessary system files, removing viruses or defragmenting the hard drive. This would basically cost you nothing. However, it can cost some money for computer upgrades. For example, it costs about $100 to upgrade to the most recent version of Windows, $100 for a new hard drive or $50 for additional memory. But when you total up these costs it’s still cheaper than the $500 or more you’d have to pay for a new desktop computer. Got a table whose top is scratched or a chair with a worn-out seat cover? You could save money by eliminating those scratches with a $5 bottle of scratch-cover polish, which would be a lot cheaper than spending $200 or more for a new table. If you have a dining chair with a worn-out seat cushion just remove and recover it using a staple gun and $5 worth of fabric. That would be a lost less than would it would cost to replace it. If you have clothing with things such as a missing button or ripped seam, don’t toss it away. Most drugstores have $5 mini sewing kits with everything you need to make small repairs. If you don’t know how to sew or if the repair project is too complex take the pants or jacket to a tailor. You should be able to get simple repairs made – like a zipper replaced – for around $20, which is much less then replacing a coat or a pair of dress pants. Believe it or not, there’s no shame in shopping the secondhand marketplace to save money. You’ll find that just about everything is cheaper when you buy it used. And when you buy secondhand this doesn’t just save you money. It also helps other people make some money off their unwanted stuff. Plus, it keeps old items out of the landfill. Thrift stores are a good place to save money by finding secondhand furniture, clothing and household goods. Places that charge the least are usually nonprofit stores such as Salvation Army, Goodwill and church basement shops. Consignment shops usually focus on selling practically new clothes from high-end brands. The prices at these stores are often more than what you would pay for new clothes but much less than what you’d normally pay for those designer labels. You can save money by finding even bigger bargains at yard sales, garage sales, estate sales or whatever they’re called. The sales are generally hit or miss propositions but if you have a lucky day you might find some real treasures at terrific prices. In addition, you can find all kinds of different things at garage sales including movies, games, books, electronics, furniture and clothing – all for 10% to 50% less than retail. You could save money by learning to take advantage of today’s sharing economy. For example, most public libraries aren’t just for books anymore. They also lend music CDs, audiobooks and even DVDs of popular TV series and films. If you don’t need a car everyday why not join a car sharing program like Zipcar. Its annual fee is $70 plus $8 for each hour you use the car. What this means is if you made 10 three-hour trips a month that would come to $2950 a year, which is less than half the $6100 a year that AAA says it costs the average driver to own an automobile. Finally, if you have rooms you don’t use every day you could share your seldom-used spaces – such as a laundry room – with other people. And, of course, if you have a bedroom you’re not using you could rent it out and earn some nice extra revenue. 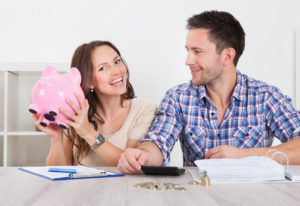 If you’d like to learn ever more ways to save money, watch the following video with what one person says are the best money saving tips for 2016.